Are you looking to purchase a property? Whether you are a first time buyer or a seasoned real estate veteran, there are some important things to keep in mind before making the leap to home ownership. First and foremost, you need to have an idea of what you can afford. An important first step is to get pre-approved for your financing. This will not only give you an idea of your price range, but will also let sellers know that you are serious about buying and will work in your favour if it comes down to choosing between yourself and another potential buyer who has not been pre-approved. This will also keep you informed of your credit rating and any possible problems with it. It is wise to avoid any sort of large purchases or moving your money around prior to getting pre-approved. You don’t want to take any big chances with your credit profile. A lender will want to see that you’re financially reliable. They will want to see a complete paper trail so that they can get you the best loan possible. If you open new credit cards, amass too much debt or buy a lot of big-ticket items, you’re going to have a hard time getting a loan. If you're a first time buyer you should ask yourself these questions: Do you have the necessary financial management skills required for home ownership? Are sufficiently financially stable? Are you ready to take on the responsibility of all the costs involved in homeownership, including mortgage payments, repairs, and maintenance? Stay mindful of your budget! Having an experienced real estate sales representative is an important part of buying a home - especially if it’s your first time going through the process. Having someone who is knowledgeable about the market leading you through the process will take a big weight off of your shoulders. Your sales representative doesn't just find you properties of your preference and set up viewings, they bring knowledge and professionalism to the table to help you beat out other potential buyers. They work non-stop to get you what you want, and utilize their expert negotiating skills to get you the price and terms that work best for you. A good sales representative will understand the market and will also more than likely have a network of individuals who will be able to be a part of your team and help you get the property you want at the very best price. It is important to make sure that the property and the neighbourhood it's in is ideal for you. Take a walk around the neighbourhood at different times of day to get a feel for the types of people, the different types of lifestyles in the area, and to see what type of businesses are in close proximity. Don't go for the biggest, most beautiful house on the block. Never buy a house based on emotions. If you think you've fallen in love with a property you might end up making some bad financial decisions. There’s a big difference between your emotions and your instincts. Going with your instincts means that you recognize that you’re getting a great house for a good value but going with your emotions can mean something like being obsessed with the paint color or the backyard. Remember, it’s an investment, so keep calm and clear-headed. Bigger is usually not better when it comes to houses... the largest house only appeals to a small audience and you never want to limit your future potential buyers when you go to re-sell. Your home is only going to go up in value as much as the other houses around you and if your house was much more than your neighbours' houses, your appreciation is going to be limited. It is important to note that the worst house per square foot typically trades for more than the biggest house. Last, but definitely not least, give your potential home a thorough physical. Do a complete walkthrough and note any future costs. Is the roof in good condition? How old are the windows? Is there sufficient water pressure? Does it have central air? What type of heating? Although you will not have a choice of what season you will be viewing the home in, doing a walkthrough in a house on a cold winter day will give you an idea of how well the house is heated, and on a hot summer day you will have an idea of how cool the house stays. Take note of any immediate fixes and any things that will need repair down the road. 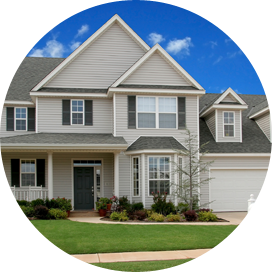 It is wise to hire a home inspector to help with your walkthrough. It will cost a few hundred dollars but could end up saving you thousands in the long run. Anything that stands out as a future expense can and should be used in weighing out the value of the property and assessing a fair offer if you decide to make one.